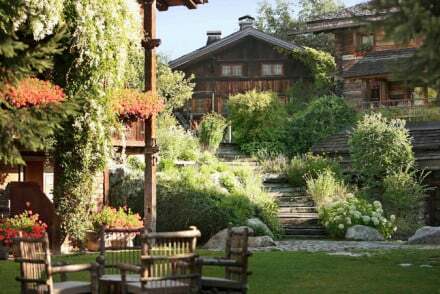 Picturesquely located in a smooth bowl under Mont Blanc, Megève is a truly charming resort. Its old cobbled village centre is packed with traditional chalets and there's not a single big hotel - so our Guru's recommendations for the best places to stay in Megève err more towards the traditional than the contemporary. As far as the skiing is concerned, here they boast they have something for everyone. Megève is a good choice for skiing families. There are numerous beginner runs, so first-timers aren't stuck on the nursery slopes, and there are good long runs for confident intermediates on Mont d'Arbois. This is because the skiable area is huge - 83 lifts and 325kms of piste, including some excellent off-piste areas. Many of Megève's chalets were designed by the same architect, who borrowed design features from the town's original farmhouses, dating from when Megève was part of the Duchy of Savoy. While uniformly charming, the centre of town does have a wide choice of the best places to stay in Megève, cosy cafes and a number of good restaurants - including the highly recommended Flocons del Sel. Hike around Le Chemin du Calvaire and enjoy the wonderful views of Megève. Those visiting with family should definitely spend an action-packed afternoon at the Luge 4s! If you're here in winter then be sure to hit the slopes of Mont D'Arbois and Le Jaillet. Église Saint-Jean Baptiste is a pretty little church that's well worth a visit. Warm and rustic, Les Fermes de Marie has been converted from several chalets and farmhouses. There are a choice of room styles, a dedicated kid's area, and supervised activities. There's also a spa. 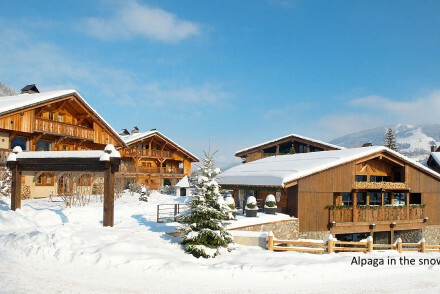 Le Gai Soleil is a simple chalet with an excellent restaurant and extensive wine list. Rooms are basic, but comfortably sleep up to four. There's also a spa and outdoor pool. La Grange d'Arly is a picturesque chalet and restaurant in the heart of Megève, with an understated air and very friendly hosts. M Megève is at the more expensive end of Megève's price scale, but its large suites with mezzanine floors make this recently renovated grand chalet a good choice for families. With suites that can cater for up to ten people, L'Arboisie is a great spot for families. The rooms are traditionally dressed, whilst there's also a wonderful restaurant, pools and a spa. Hotel Mont Blanc is traditional and elegant, its ambience having remained largely unchanged since it hosted Jean Cocteau in Megève's cobbled heart. Alpaga's restaurant serves 'bistronomic' cuisine, meaning the food is good, but the decor is relaxed. They're possibly understating themselves because their photos look pretty stylish - in a 'modern rustic' way. Au Coin du Feu features cosy accommodation with private balconies and mountain views. Tuck into lovely cuisine in the atmospheric restaurant before enjoying a tipple in the sitting room. Hôtel Chalet Saint-Georges is a charming retreat boasting antique furnishings and a cosy lounge complete with a roaring log fire. Plus, there are two splendid restaurants to chose from - ideal after a long day out on the slopes. If you're looking for sophistication try Le Lodge Park, a traditional hotel recently refurbished into something a bit more modern but retaining all the charm of the original alpine design. The central location is one of the town's most convenient. 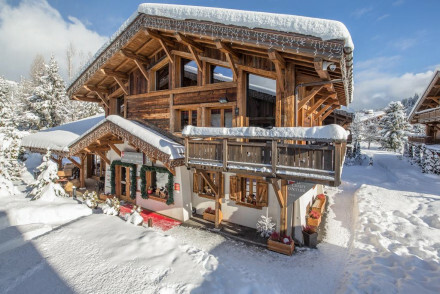 Les Loges Blanches is a chic chalet with classy accommodation complete with modern bathrooms. The restaurant is top-notch, whilst there's also a pool to boot. Mountainside Flocons de Sel offers luxury rooms and suites - think plenty of wood and cowhide furnishings - with wonderful views. There's also a pool, spa, and massages available. A lovely retreat! 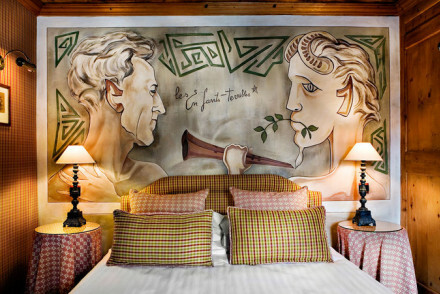 Le Fer A Cheval is a 5* stay with sumptuous interiors that are bound to impress. The accommodation is spread across a number of chalets, and the hotel boasts a number of delicious restaurants to try out. Le Chalet du Mont D'Arbrois is another option for those who only want 5* luxury; the rooms are typically Savoyard and incredibly cosy, whilst it also features private hot tubs, gourmet cuisine and an excellent spa. Le Chalet Zannier is an absolutely gorgeous stay. Combining 5* luxury with edge alpine style, it exudes a rustic-chic charm and the restaurant serves up absolutely delicious French cuisine. A superb option! If you're visiting Megève for the skiing then you're best off coming from December to March. However, if you want to enjoy the lovely hiking trails during the summer then consider visiting in July, when the average temperature climbs to 17°C. Your best bet is to fly into Geneva Airport, located an hour from the airport. Taxis to Megève from Geneva are fairly expensive, so consider hiring a car with Rentalcars. Browse through our list of all the best places to stay in Megève. Expand your search to include the best places to stay in Chamonix or Courmayeur. 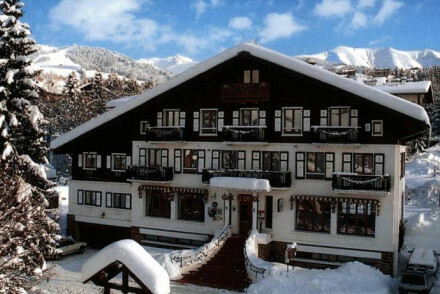 A simple chalet hotel with an excellent restaurant and extensive wine list. Basic rooms with private balconies can sleep up to four people. Spa and outdoor swimming pool for the summer months. Great value for families, groups, and avid sportsmen. 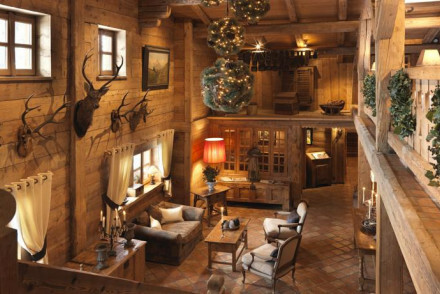 A chic chalet style hotel in the delightful ski resort of Megève. Traditionally dressed rooms are decked out with pine clad walls, beamed ceilings and smart bathrooms. The best feature private terraces with spectacular views. An atmospheric restaurant and heated outdoor pool are a welcome addition. Active Holiday - Ski in the winter, hike in the summer; the Alps provide boundless opportunities for outdoor pursuits. Skiing - Mont d’Arbois Ski Area has a large variety of slopes with something to suit everyone. A pretty chalet opposite Mont Blanc. Rooms feature Alpine wooden panelling and big modern bathrooms. Outdoor pool, spa, hot tub and sauna available for apres-ski. Fantastic regional cuisine. Family friendly, welcoming, and with unbeatable views. A cosy chalet with views of Mont Blanc. Charming rooms have wooden walls, pretty fabrics and large bathrooms. Outdoor pool, sunny terrace and gardens within the mountains. Traditional Alpine cuisine. A great choice for a weekend of mountain activities. 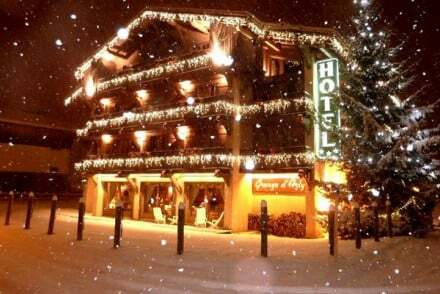 Elegant Megeve grand dame situated in the heart of the village a stone's throw from the cable cars. Soak up the ambience and history created by one its most famous guests, Jean Cocteau and enjoy his favourite steak au poivre in the restaurant "Les Enfants Terrible". 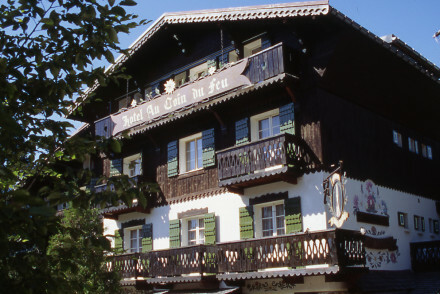 A picturesque chalet and restaurant with very friendly hosts. An intimate and cosy atmosphere throughout. Wooden beamed rooms with private balconies and attractive fabrics. Understated and charming. A small and charming hotel chalet with a cosy atmosphere. Delightful wooden bedrooms with private balconies and mountain views. A rather quaint sitting room and restaurant, and a spa at the sister hotel. An understated chalet for those who want something a bit quieter. A member of the Sibuet family group of hotels, where the traditional hotel has been given a modern and sophisticated make over whilst retaining all that is good about alpine style. Beeflodge Restaurant specialising in top notch meat. Not to be bettered central location. Skiing - A stone's throw from the main lifts. A mountainside hotel offering luxury, contemporary chalet rooms and suites with exposed wood galore, cow hide furnishings, and private balconies with stunning views. Relaxing indoor pool with spa and massage. Comfortable sitting room and gourmet restaurant. A luxury stay in the Alps. Extremely luxurious Five Star hotel with a spectacular spa. 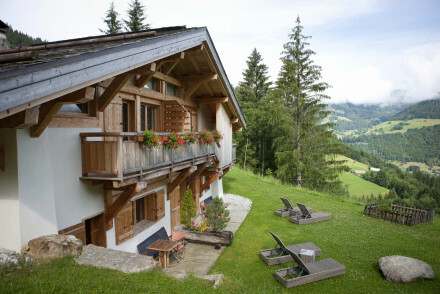 Private rooms and suites sprawl across a complex of charming chalets. Traditional but sumptuous wooden suites with mezzanine levels, fireplaces, elegant furniture. Excellent restaurants, meeting rooms, and spa. A spectacular Five Star hotel set across three separate chalets. 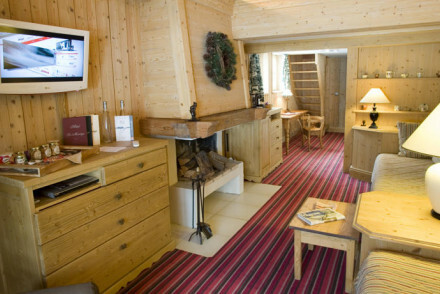 Typical Savoyard architecture and sumptuous furnishings in the rooms and suites. Fireplaces, wall murals, polished wooden floors, private hot tubs, and terraces. Gourmet cuisine and a professional spa. Very luxurious. 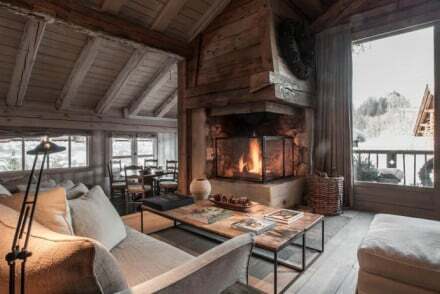 A picturesque wooden chalet boasting a tranquil setting on the outskirts of the pretty ski resort of Megève. Inside an array of rooms and suites are traditionally dressed and accommodate up to ten people. A superb restaurant, pools and spa are a welcome respite after a day spent in the mountains. Skiing - Great access to the three ski areas offering 325 km of pistes with something for all levels. Beautifully presented 22 bedroom hotel in "modern rustic" style: an effective blend of wood with contemporary stylish materials. Restaurant serving "bistronomic" cuisine and great spa facilities. 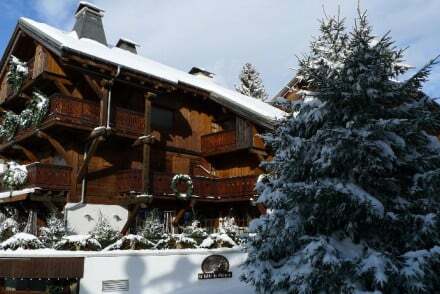 Charming chalet located in the heart of Megève just metres from the Chamois ski lift. Enjoy antique furnishings in true French alpine style, with lots of wooden beams and thick curtains to keep out the winter chill. A choice of two restaurants and cosy lounge with roaring fire add to the atmosphere. 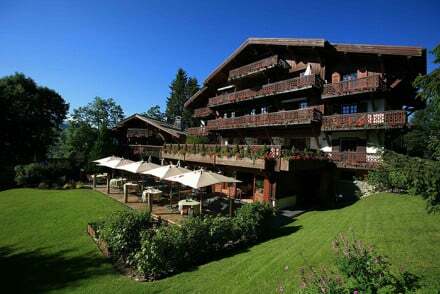 Recently renovated grand chalet with a gourmet restaurant and spa. Traditional rooms and suites with mezzanine floors and private balconies. Light woods, pretty floral fabrics, and elegant furniture. Excellent for families and groups. 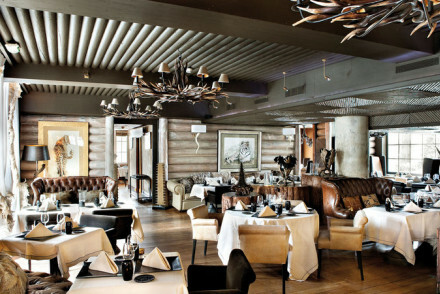 The combination of five-star luxury and edgy alpine style, sets Le Chalet Zannier aside from the crowd. The cosy rooms are beautifully designed and exude a rustic-chic feel. 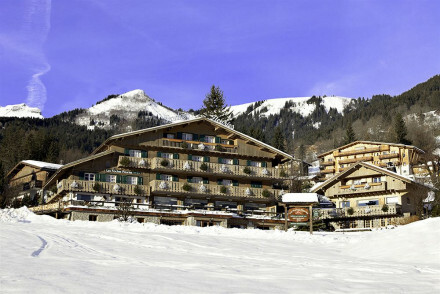 After a day on the slopes return for delicious French cuisine or a relaxing session in the spa. A hillside wonder. Total relaxation - With deluxe suites, an excellent spa, and phenomenal service it's perfect for a relaxing retreat. 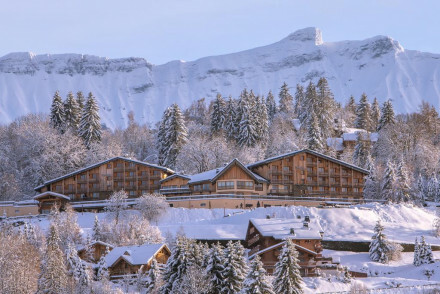 Active Holiday - The ideal spot for an indulgent trip to Megeve, the original alpine ski resort. Great walks - Megeve is a great spot for walking in the summer months.